Prince Harry may have let slip an important detail about the Royal baby that the media has surprisingly not been so keen on. Meghan Markle and Prince Harry may be having twins after all. In all the frenzy of whether the Royal baby will be a boy or a girl, people seem to have forgotten that there could be more than one baby on the way. 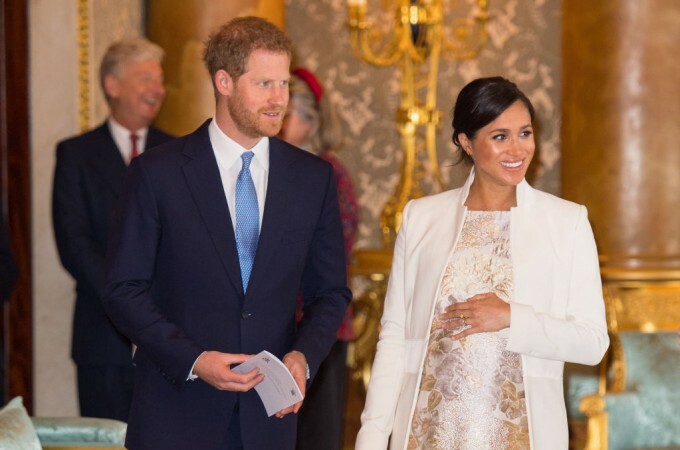 At Prince Charles' party, Harry was apparently heard talking to a guest, Falklands War veteran Simon Weston and may have let on that the couple are indeed expecting twins. After their conversation, Mr Weston said: "We joked about Wales defeating England in the Six Nations rugby. "I also warned him and the Duchess it serves him right as they will be getting plenty of sleepless nights when the baby is born." Mr Weston said Prince Harry responded with a cryptic comment: "He said if they have any more than two it will serve him right." Did Prince Harry just let it slip that the Royal couple is expecting more than one baby, twins to be specific? As of now, Meghan Markle and the Palace are keeping silent on baby details, so we'll have to wait till April. 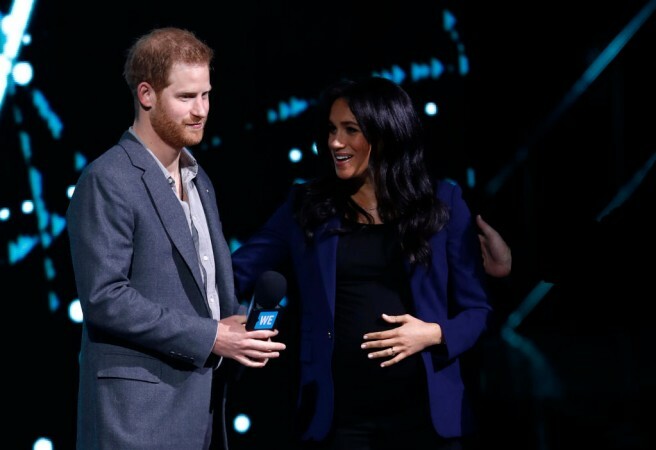 But while the Royal Family awaits the arrival of the Royal baby, Royal experts are concerned that Meghan Markle's celebrity could have an adverse effect on Prince Harry. Reportedly Prince Harry has been warned to "be careful" after he married Meghan Markle, who carries a celebrity status, a royal expert claimed. Speaking on talkRADIO, royal expert for The Sun, Emily Andrews, claimed Prince Harry needed to be aware of the "optics" of his relationship with the Duchess of Sussex. The royal expert claimed Prince Harry needed to be careful as he didn't want to "turn himself into some celebrity". She said: "I think for Harry, I think because after the infamous pictures of him in Las Vegas hotel room, cavorting with strippers and naked and swingers, and all that kind of thing, 'too much army and not enough prince', I think he famously said. "He actually, the Invictus Games, I don't think anyone can criticise him for that. This amazing sports competition for those people in the military who had been injured. Copying the Warrior Games from the US, that has become a worldwide movement." She added: "I do agree, I think he has to be careful. "I think he has to be careful, because the optics, he married an actress, who quite understandably has quite a lot of famous friends. "She is not some country girl from the shires and she is not some unknown frankly from Australia, or wherever. "So, I think he does have to be quite careful of the optics of how things look. "He doesn't want to turn himself into some celebrity which people might tire of him." It seems that people keep forgetting that Prince Harry is already a celebrity. And a much bigger celebrity than Meghan Markle ever was as an actress, no offence Meghan. So we have to say that after years in the spotlight, Prince Harry might have learned a thing or two about being a celebrity and how to handle what comes with it. Meghan Markle is expected to give birth in April. We wish Prince Harry and Meghan Markle well.